Many times participants in my classes & workshops ask me if they should keep what they journal or if they can just throw it away, especially if it’s highly sensitive or private. No matter how sensitive, I always, always, encourage people to do two things: keep what you write, and date each entry. The quote here by Pema Chodron exemplifies why. There is so much learning in reviewing our journal. Whether the entries are happy, sad, depressing, joyful, or mundane – they reveal important patterns and synchronicity in our life. A few years back I was at our cottage where I store the volumes of my old journal (Yes, volumes. Most of them are only half filled. I get bored easily, so I buy & start fresh journals often and sometimes I buy a new journal to signal a new chapter in my life). One night on a whim I took them all down off the shelf, plopped them on the bed, crawled under the covers, and started reading. Yikes. Talk about patterns. First I recognized that I’d mostly journaled when I was depressed, upset, or confused. Granted, because of the amazing healing power of journaling, these are great times/feelings to journal indeed. But what was in those pages certainly didn’t represent my life. I felt sad that I hadn’t journaled more of the happy, joyful, fun, and even mundane times. It would have been fantastic to review a complete picture of my life – like the joys & lessons of motherhood, the awe inspired by our many travels – and much less of a bummer to read the extreme weight of the words on all those pages! But I soon discovered there was a big lesson in the weight of those words. I recognized a pattern: the life situation that most repeatedly caused me to be depressed & upset. My career. I can’t begin to tell you how huge an AHA Moment that was. Looking back, it was a true paradigm shift moment. I’d always struggled, certain that ‘something must be wrong with me’, because I would be ‘successful’, yet always end up with the same frustrations & want to quit one job after another. Reading the journals I clearly saw that what was wrong was that I kept putting me in the wrong jobs for the wrong reasons – and that just because you can do something well, doesn’t mean that’s what you should be doing. I’d been working at jobs and in places that did not speak to things I care about or am passionate about. It took some time to align my career with my passions, but I have, and I’ve never been happier. Keeping everything that I wrote changed my life – for the better. P.S. Please join me on Facebook (https://www.facebook.com/HolisticJournalingInk) and Twitter (https://twitter.com/HJournaling)! I have been up against this choice so many times. I’m sure you have to. Is walking away giving up to soon? Is trying harder futile and naive? Journaling helps in this situation, for sure. 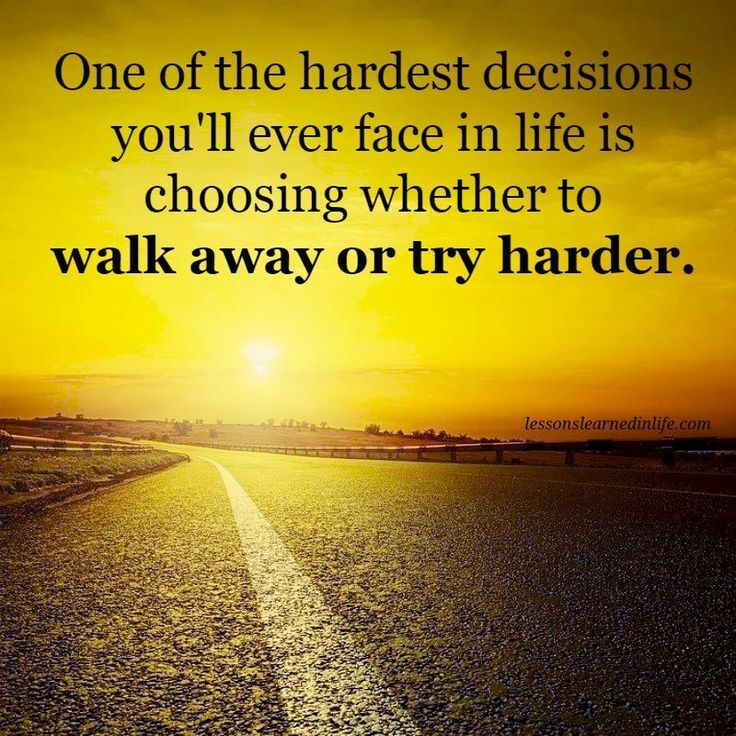 Title your journal entry “Walk Away” and free write about reasons to do this and what may happen if you do, or do two columns – pros & cons, or do a list of 100 reasons to walk away. Title a second entry “Try Harder” & do the same with this write. You’ll be surprised what happens at the end of your pen – and it will most likely give you your answer! Remember, in the end, when completely thought through – no matter your choice or decision, you are making the best one possible for you at the time and place that you are in while making it. In other words, on another day, in different circumstances, your choice or decision may be different. But you can only make a choice or decision from where you are in any given moment in time, reflecting on life’s learning thus far combined with your gut instinct. Journaling about choices & decisions helps you stop to reflect, listen to your instincts, and be fully in the moment. If you haven’t heard of it before, Pleasant Activity Scheduling is a cognitive behavioral therapy intervention used in the treatment of depression. In its most simplistic form the concept is this: Increase happiness by doing more of the things you enjoy. Clearly mental illness is far more complex than this as is its treatment; however, perhaps we can all benefit in some way from mindfully incorprating more of the things we enjoy into our everyday lives. So in the spirit of pleasantness, here is my personal list of pleasant activities, in no particular order. There are so, so, so many benefits to journaling that there really isn’t a reason not to journal (but we all find excuses not to, sometimes even me!) BUT, one of the most compelling reasons to journal is now become the proven health benefits. I always say, journaling belongs in the same league as yoga & meditation – but it is also now bursting forth to also be in the same league as naturopathy. Here’s a great 2-minute read article from Maud Purcell, LCSW, CEAP on the health benefits of journaling posted on PsychCentral. Contrary to popular belief, our forefathers (and mothers) did know a thing or two. There is increasing evidence to support the notion that journaling has a positive impact on physical well-being. University of Texas at Austin psychologist and researcher James Pennebaker contends that regular journaling strengthens immune cells, called T-lymphocytes. Other research indicates that journaling decreases the symptoms of asthma and rheumatoid arthritis. Pennebaker believes that writing about stressful events helps you come to terms with them, thus reducing the impact of these stressors on your physical health. 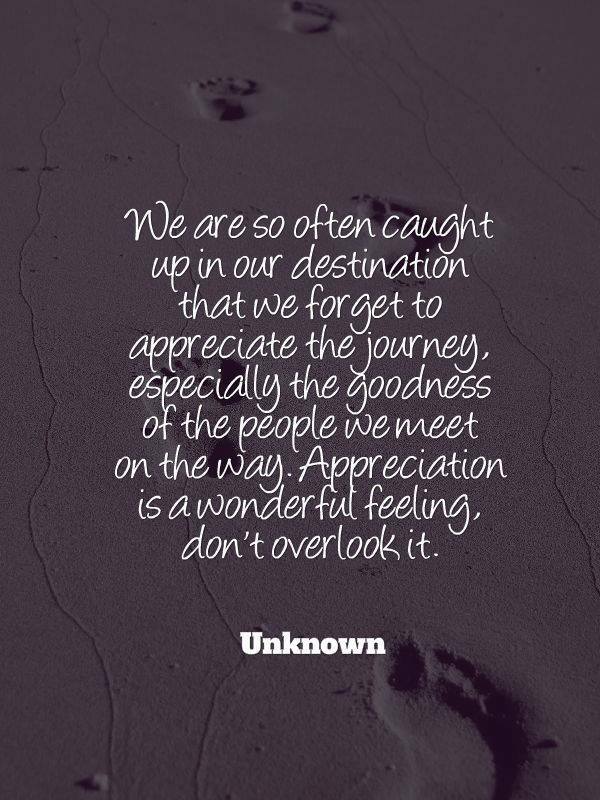 What wonderful people have you met along the way? What an awesome thing to journal about! Today I ran across the following article in the Huffington Post Healthy Living section. It’s derived from Martha Beck’s latest book, The Martha Beck Collection: Essays for Creating Your Right Life, Volume One. So many of us ask ourselves the questions brought up below at some point in our lives. I find them superb journaling prompts. Pick the one(s) that apply for you in your life right now, pour yourself a cup of java or vino & grab your favorite pen. Reflect. Release. What’s wrong with me? These four words can be useful in some situations (for example, if one of your hands keeps trying to strangle you). But many of us constantly ask this question without realizing that doing so centers our attention on our most negative attributes — and focusing attention on anything is certain to make it grow. When will my ship come in? Happy expectation helps draw good things into your life. Compulsively asking when they’ll arrive drives them away. Has anyone ever pestered you about getting something done? Remember how this made you want to slow down solely to annoy them? Don’t choke good fortune by clutching at it. Identify what you want, do what you can to create it and then distract yourself. I guarantee that your ship will speed up. Do I look fat in this? Some clothes make you look slightly larger, some slightly smaller, but here’s the truth: Whatever you’re wearing, you look approximately as fat as you are. Accepting that fact frees up a ton of energy, lightening you considerably. How can I maintain control? I’m sorry to tell you, but you’ve never truly been in control of anything. You can’t completely control your situation; any second, a meteorite could smash it to oblivion. Think you control your mind? I challenge you, right now, not to picture Elvis Presley swimming in a giant vat of guacamole. See? Try asking, “How can I respond harmoniously, and as gracefully as possible, to whatever occurs?” This question offers a joyful ride rather than the grim march of illusory control. Who will complete me? This is closely related to the question Why aren’t you completing me?, which, in its various iterations, has destroyed more relationships than restless legs syndrome and herpes combined. Memorable movie dialogue notwithstanding, wholeness is possible for every individual, and only whole individuals create truly healthy relationships. If you’re searching for the One to complete you or raging at the One who isn’t doing so, you’re looking at the wrong One. Try the nearest reflective surface instead. What will people think? This is an excellent question to ask continuously if you want to live in the emotional equivalent of a Turkish prison. What other people think is none of your business. Ask yourself what you’ll think on your deathbed if you spend your whole life worrying about others’ opinions. How can I convince everyone I’m right? If you obsessively wonder how to win every argument, try something for me: Ask yourself when you’ve been wrong. If you’ve made a mistake, apologize. If you can’t apologize (the other person is dead, on a top secret Navy SEAL mission, the pope), acknowledge your errors and learn from them. You’ll feel better allowing yourself to be wrong than trying to prove you’re always right. Am I wrong? How do I get back at my enemies? Ruminating about all the horrible people who have hurt or offended you is like locking yourself in a cell with those very people, except that you’re the only one who suffers. Instead, start listing people who benefit you in some way: the folks who build cars and houses and roads, deliver packages, fight fires, run schools and hospitals. Asking “Who’s done me right?” can transform your world from a backstabbing battle into a feast of gratitude. How can I cheat death? We all know people whose life mission is warning others of the danger lurking in every edible substance. Salt will turn your liver into foie gras! Dairy and gluten are poison! Microwave your family’s soup? Why not just shoot them instead? These folks aim to eat like our ancestors, who roamed pristine ecosystems and lived for about 30 years apiece. One of these health food fans recently gave me a pamphlet titled Eat Green or Die. A better phrase would be “eat green and die” because that’s the best I’m ever gonna do. Actually, it’s the best any of us can do. Instead of trying to avoid our inevitable demise, we might all take author Michael Singer’s advice from The Untethered Soul: “For God’s sake, do not be afraid of death. Try to learn what it’s saying to you.” Hint: It’s saying that every day is precious, and nothing bad matters forever. How can I get more? If you’re hungry and you eat a square meal, you’ll feel better. But you won’t feel ten times better if you eat ten square meals. Our culture instills in us an unfettered lust for more, more, more. Like a cancer, that lust doesn’t know when to stop. Consider asking, How can I make do with less? You’ll find yourself headed for the even-keeled moderation that leads to real happiness. Why is this happening to me? Actual tragedies aside, this question depends completely on your tone of voice. If you ask it in a whiny way (Why is this happening to me? ), you’ll grow steadily more irritating until loved ones drop you off at a no-kill shelter. But if you ask it thoughtfully, like Sherlock Holmes (Why is this happening to me? ), you’ll stop feeling like a victim and notice illuminating lessons in every adventure or misadventure. Does ________ really love me? Many of us can’t believe we’re loved, no matter how hard others try to prove it. By contrast, spiritual teacher Byron Katie says, “I’m very clear that the whole world loves me. I just don’t expect them to realize it yet.” Try assuming the same thing: Everyone’s made of love, so at some level everyone must love you. Am I good enough? In “The Last Samurai,” Ken Watanabe plays a warrior-poet who spends his entire life looking for a perfect cherry blossom. As (spoiler alert) he dies, he has a realization that propels him into enlightenment: “They are all perfect.” Every flower is perfectly itself. So is every cloud, cat, coffee cup and human being. You are absolutely perfect at being yourself, and nothing in creation can ever do better than that. No question. “Safe is the freedom to be who you are, say what you want, think what you want, and do what you feel like without feeling judged, belittled, embarrassed, mocked, ridiculed, ashamed or sorry. It is any place and every place. It is everyone and anyone who helps you feel that it’s okay to be you. No apologies necessary. What does safe mean for you? 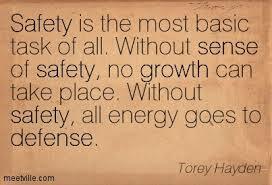 How does having an inner safe of safety impact your life? Does it come and go, or is it constant? How do you achieve it? Some other great reading on this topic is this article below by Bob Livingstone. Many of us have that anxious feeling running through our bodies on a regular basis. That feeling comes in a variety of states; from intense five alarm bells loudly ringing to fear running in the background of our thoughts. When this happens, folks can withdraw socially, rely on substances or get caught up in drama to escape this feeling of impending doom. We walk through life fearful of looking at what causes this overwhelming worry. We believe that we are just anxious because one or both of our parents is a worrier. We accept as true that we are in fear because we have been traumatized at one or more points in our lives. We think there is no relief for this state, so we do our best to grind it out and survive. We also have the mindset that actually facing this agony will create more pain making it more difficult to survive. In reality, we don’t feel safe much of the time and that lack of safety is the major trigger for all the fear that washes through us. Many of us have no real concept of what being safe means. Many of us have not received reassurance from our parents that no matter how horrible your life was going, you would eventually not just be ok, but thrive. That sense of hope and faith was never instilled. When I look at how lovingly my friends/neighbors look at their children as they hold them, I realize that my parents never gazed into my eyes in such a passionate way. I imagine feeling loved that fiercely provides a child with warmth, self-confidence and security. Feeling wanted leads to feeling safe. Being safe is the absence of beating yourself up or feeling that all that is good in your life is a moment away from vanishing forever. Feeling safe is not having that soon to be falling off a cliff feeling and not worried about being criticized by those surrounding you. It is the ability to find the safe space inside yourself that was pushed away when you were a child. That safe space is naturally there when we are born, but we learn to lose our path to this place through the abuse and neglect of adults who are supposed to care for us. Feeling safe means being self-assured and ditching the self-doubt. It means waking up in the morning and deeply knowing that you deserve to live in a safe space and have the happiness that it brings. Feeling safe is the ultimate goal of psychotherapy or any other means of self-exploration. The very first step is to recognize that safety does indeed exist and that you are deserving of it. Think about the moments when you have felt safe and write about them. When you are feeling frightened, turn to your journal and focus on it. For example, if you remember feeling relaxed and warm laying on the beach, bring up a memory of that and allow it to flow into your fears. Be aware that we all have different parts of us inside. Some parts may be identified as children, punitive adults, loving women, caring men and those that carry wisdom. These parts become fragmented and don’t connect when you are not feeling safe. When you are feeling scared, look inside and find which part is being triggered. Once you find your place of wisdom and caring parts; have them communicate reassuring, loving messages. It is important to get enough sleep, eat well, exercise regularly and hang out with those who really have your best interest at heart. Terminate relationships with those who belittle you and are not trustworthy. Discover what unconditional love really means and apply it to yourself-accepting that you are not perfect and that is OK.
Seek out psychotherapy to help face, work through and heal from not feeling safe. EMDR (Eye Movement Desensitization and Reprocessing) and Sandtray Therapy are two modalities that can help you learn to feel safe.